The Isambard Project, a GW4 Alliance initiative, today disclosed the latest results from its evaluation of Arm-based processors for HPC, the first such results for dual socket Cavium ThunderX2 nodes. 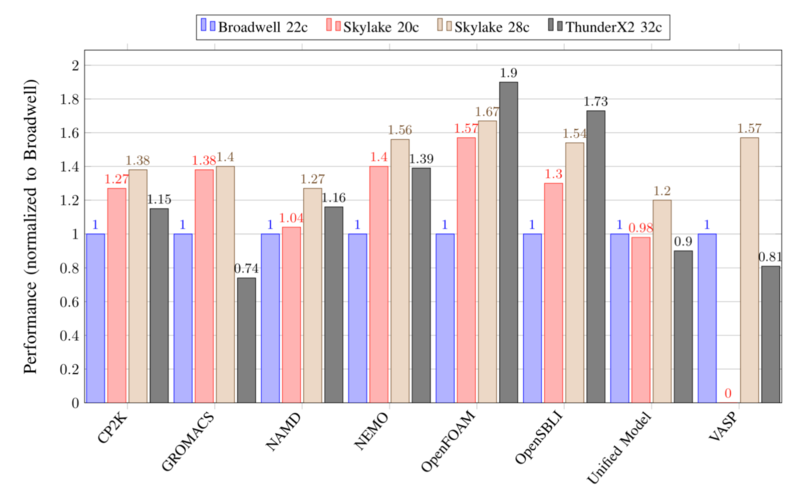 Prof. Simon McIntosh-Smith gave two talks at the Cray User Group (CUG) Conference in Stockholm on May 23rd, in which he described the results of a detailed performance comparison between Cavium ThunderX2 Arm-based CPUs, with the latest state-of-the-art Skylake x86 processors. 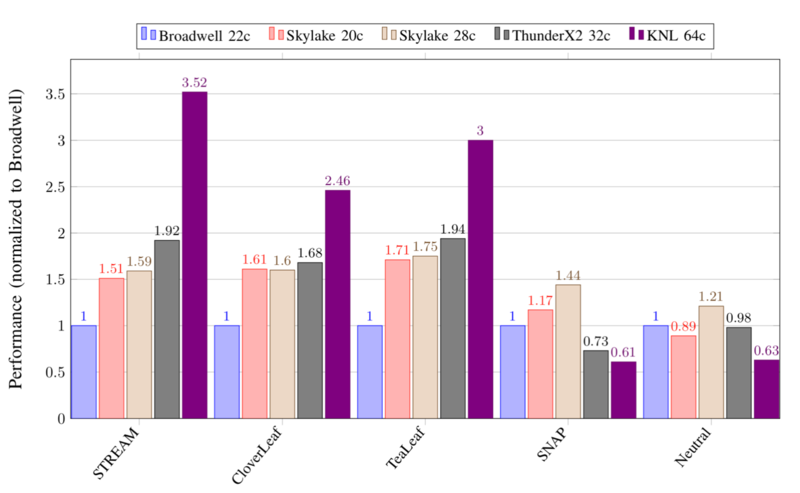 Results focused on the HPC codes that are most heavily used on the UK’s national supercomputer, Archer, and showed that for these kinds of workloads, ThunderX2 is competitive with the best x86 CPUs available today, but with a significant cost advantage. The slides from the talk are also now available. An extended version of the paper with additional results will appear in a special issue of the Journal of Concurrency and Computation: Practise and Experience (CCPE) later this year. Simon McIntosh-Smith, Professor of High Performance Computing, Head of the HPC Research Group, University of Bristol. Follow @simonmcs on Twitter for more news from the HPC research group in Bristol.